Abdi Homestay is situated in the middle of the rice paddies of the Harau Valley in Sumatra. A unique, romantic and quiet place with a splendid view on the valley and the sound of the waterfall right behind your cottage. Enjoy the beauty of West-Sumatra. Ikbal, the owner, enjoys guiding you through the valley, pointing out remarkable places and vegetation. 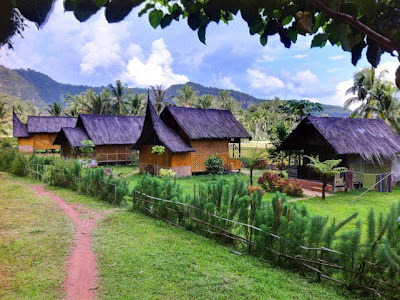 He and his wife Noni will prepare authentic Indonesian lunch or dinner upon your request, which you can enjoy on the veranda of your cottage, enjoying the views of the breathtaking landscape that surrounds you.